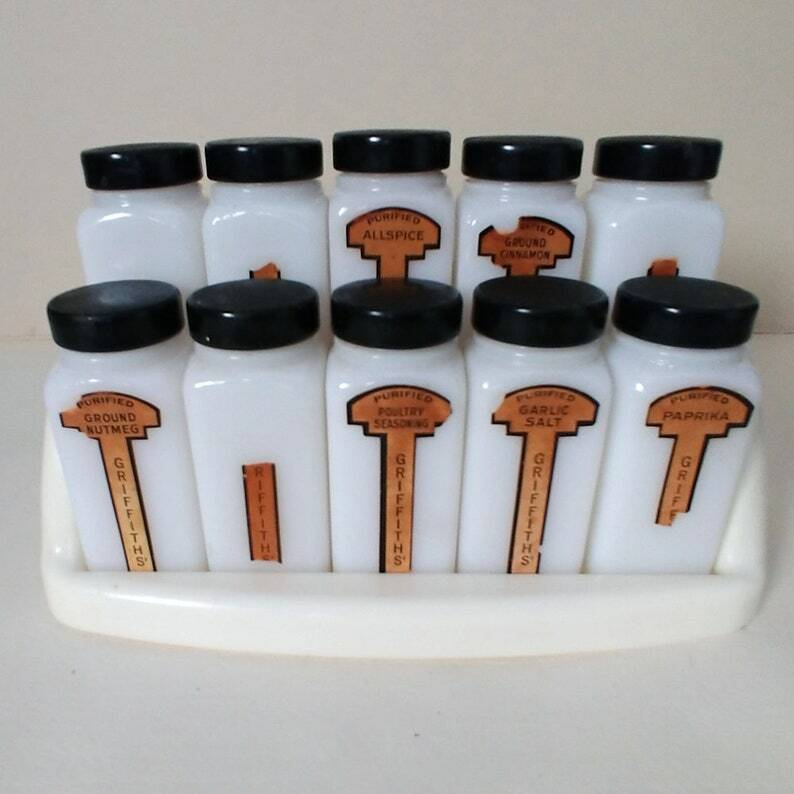 Display your spices in retro style with this rack of vintage Griffith’s milk glass spice jars. Produced by the Griffith Laboratories of Chicago, Illinois, the hard plastic two-tier rack is designed to hold the 10 spice jars and sit on your kitchen counter or attach to the wall. The squared bottles are 3.5 inches tall and 1.375 x 1.375 inches wide. The vintage labels add to the charm of these antique bottles by showing their age. One front label is missing while others labels are partially missing and have worn edges. The back labels are in better condition and provide details of the spices and suggested uses. All 10 of the jars are in excellent condition with no chips or cracks. All of the metal shakers are intact underneath the black metal screw-on tops. Show off your vintage style or add this set to your collection.